TSI is a leader in shipping into and out of Florida. Whether you’re in Orlando, Jacksonville, or Miami, we want to help you. For over 30 years we have provided exceptional shipping services at competitive rates. We help thousands of families and businesses every year. Have TSI by your side and make confusing shipping problems disappear. Interstate shipping comes with a particular set of rules, policies, and procedures. This makes it easy for fly-by-night shipping companies to take advantage of unsuspecting customers. They entice you with low teaser rates, then pile on hidden fees after the contract is signed. With TSI, you can relax knowing you're getting a great deal on Florida shipping. As long as your weight and dimension estimates are accurate, the quote you get is the price you pay. And our strong partnerships with carriers allow us to pass our volume discounts on to you. So you can expect to save more with TSI than if you go directly to independent interstate shipping companies. Save some extra cash with our Economy service. You pack your items yourself using our tips for packing. Then, help our driver load your items onto the truck. When your shipment arrives at its destination, it is dropped off curbside. Simple. Enjoy the ease and comfort that comes with our White Glove service. Professional movers come into your home and prepare your items for transport. They load everything onto the truck, then head off towards your destination. 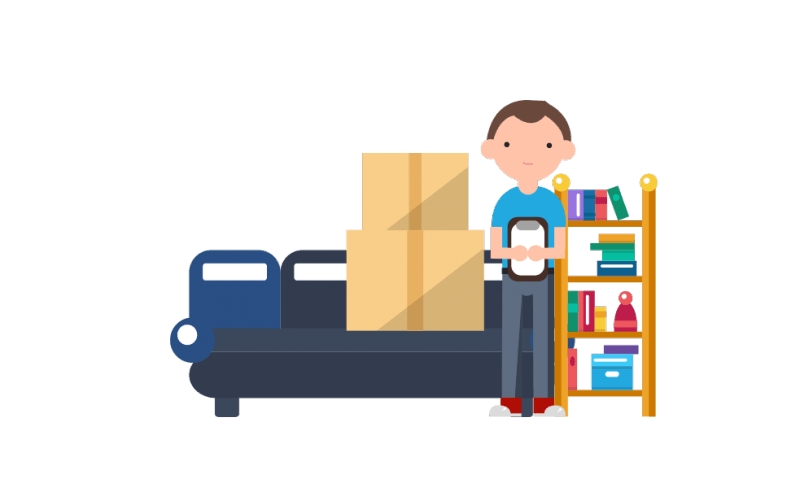 Upon arrival, simply tell our two-man moving crew where you want your items placed. They provide inside delivery. Really simple. 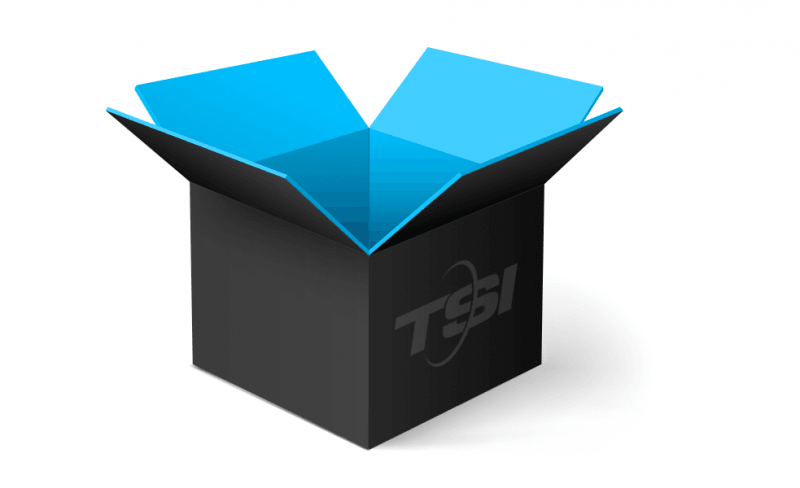 Why trust TSI with your Florida shipping needs? We’ve been in the moving and shipping industry since 1989. If you are looking for simple interstate shipping solutions look no further than TSI. We know all the rules and regulations that come along with interstate shipping. We’ll make sure your shipment follows protocol. Take advantage of our extensive network. We ship all over the country (not Hawaii or Alaska, yet). We can ship your goods quickly and at affordable rates. We know it’s stressful shipping your goods across state lines. That’s why we are in constant contact with our carriers. From the moment your items are picked up to their timely delivery, you’ll be kept in the loop. Our customer service sets us apart from other moving and shipping companies. Our representatives are friendly and helpful. We’re here to make your state-to-state shipping service simple and straightforward. Please don’t hesitate to reach out to our customer service representatives with your questions and concerns. Our carriers are the best in the business. All of our professional movers are thoroughly vetted. We hold them to the highest standards, ensuring your goods are in safe and capable hands. Your service was recommended by the seller. Since it was my first time purchasing from eBay and having no connections for picking up my purchase (or getting it to Virginia), I went with the recommendation. I was very happy with the results. Kathy Temple was my contact and she did an amazing job! She walked me through every step of the process and gave me very quick and accurate quotations. I couldn't be happier with Kathy and TSI. I found TSI to be great coordinating the delivery. They were patient and answered all my questions. They were well priced and offered more amenities with their service; tracking of item, pick up and delivery by the moving company, available for questions, wrap/pack, carry, bring in house, unwrap, set up, and cart off trash. I was pleasantly surprised to have my items picked up a bit early. The timing and coordination of the pick up was exactly as described and worked without any problems. The delivery was EXACTLY on time to the day and the hour. The men were professional and friendly. My buffet was delivered without any damage. I would highly recommend TSI. Need to ship into or out of Florida?